If you meet this criteria, you should give away your book as a way for readers to discover first the book and second, you as the author. 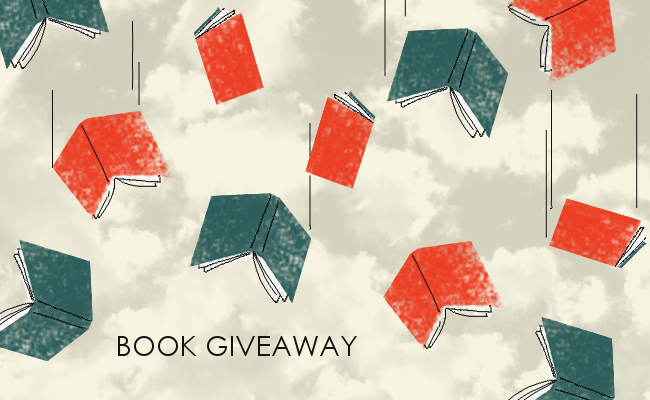 A giveaway builds a following for future books that readers will be willing to pay for. I’m here today to tell you that those arguments belong in the pre-ebook, pre-self-publishing Dark Ages. Using both my own story and stats from BookBub, the leading aggregator of discounted and free e-books, you’ll learn that giveaways and bargain price promotions are, in fact, a smart tactic (not strategy**) to boost your book’s visibility as well as yours as an author. I’m a literary fiction author who self-published my debut novel in April 2013. I did so after hitting a dead end on the traditional publishing path (find an agent, who finds you a publisher.) Despite a decent amount of agent interest, in terms of requests to read the manuscript, after six months of querying in 2012 I hadn’t found one. And I didn’t want to spend any more time looking. Self-publishing’s quality, reputation and affordability were all improving. I saw no reason to wait around to find my literary needle in a haystack. So in fall 2012 I set a budget, set my goals, and jumped in. Six months after that I was launching Sparrow Migrations in Kindle and paperback formats. As a self-published author, I did miss out on what, IMHO, is the greatest advantage a publisher offers: distribution. I had to go bookstore by bookstore – a slow way to find readers, for sure. I had a reputation with area booksellers from a nonfiction book I’d published back in 2005, but that wasn’t helping me outside NW Michigan. Meanwhile, even with no marketing, I noticed that the Kindle sales were far outpacing the paperback sales. (At $2.99 per book, vs. $14.95, perhaps that’s not surprising. But that volume adds up. Almost 60 percent of the bargain ebook readers BookBub surveyed consume at least a book a week) So I decided to explore that more and did my first giveaway. Giveaway I: June 4-9, 2013: 5,446 downloads. Minimal online marketing. Amazon reviews more than doubled, from 16 to 39. Average rating 4.6/5 stars. Following the giveaway, I also had my best month ever in terms of paid sales. Giveaway II: Jan. 14-18, 2014: 33,642 downloads. Advertised on BookBub (meaning I actually PAID to give away my book this time — talk about a warp in dogmatic thinking!) This time reviews more than tripled, from 39 to 148. Average rating remains 4.6. I saw a noticeable bump in my Goodreads “want to read” numbers as well. Those review jumps are key. For you as an author, they are the value in the giveaway. They also put the lie to the argument that readers don’t value free books, and don’t read them. BookBub stats support this – fully 60 percent of bargain readers report they always read what they download – 90 percent always or sometimes. (See slide 26.) Another two-thirds will buy a book from an author they discover via a bargain promotion (slides 27, 28) and two-thirds also say they’ll recommend it to a friend (Slide 29). The high ratings from most reviewers also gave me the confidence to increase the Kindle price from $2.99 to $3.99 in spring 2014. A buck may not sound like much, but it was a 25 percent jump and I suffered no loss of sales. So with two giveaways under my belt I decided to experiment next with a Kindle countdown, which allows you to reduce your book price incrementally. In my case I reduced it to 99 cents for a day, 1.99 for two days, $2.99 for three days and then back to the $3.99 full price. I did this in September 2014, and again advertised the 99 cent promotion on BookBub. Another benefit to the giveaways and promotions is it concentrates the downloads, which alerts Amazon’s algorithms. Your book then starts to show up on the “Recommended for” alerts of readers. One of radar screens that my promotion popped up on was that of my now-editor at Lake Union Publishing, an imprint of Amazon Publishing. She read Sparrow and loved it. More relevant to this topic, she saw the number of reviews I had – reviews, let me repeat, that I had gained mostly after giveaways. And that was what convinced her to make an offer for the book, just over a year ago. Voila, I had everything I had abandoned hope of — an advance, an editorial team, and a marketing team – offered on a silver platter. Sparrow Migrations was re-released this past June, in paperback, Kindle and audio formats. I’ve since seen sales in four foreign markets, I have a price promotion going on right now in the Amazon UK market, and most importantly I have an editor waiting for my next book. I fully expect to use giveaways and promotions when that’s ready. **What is a strategy for book visibility? – The letter Y brought to you by Daily Drop Cap.